The Rules of Golf have received a lot of bad press since the governing bodies unleashed a host of rule changes in January. 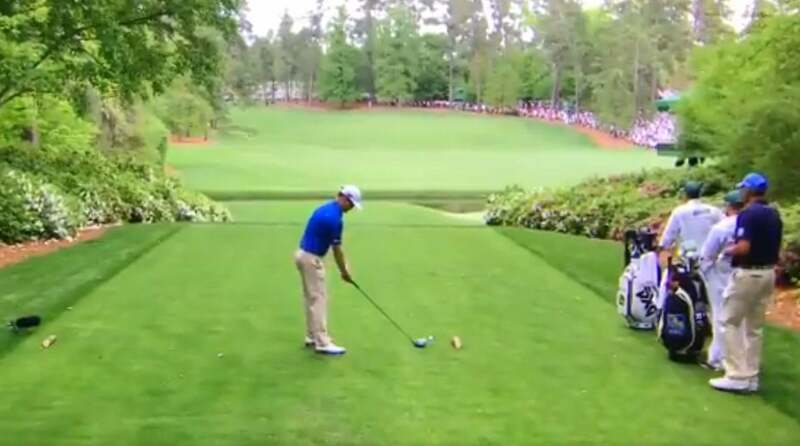 But golf’s bylaws are set for some positive ink for once after an old rules loophole saved Zach Johnson from a bizarre and embarrassing penalty at the Masters on Friday. Playing in the second round Friday afternoon, Johnson teed up his ball at the par-5 13th hole and made a few practice swings while waiting to hit. But on his last practice swing, Johnson clipped his ball, knocking it off the tee and sending it spinning forward on the teeing ground. At first, Johnson stood back stunned at what had happened. It then appears that playing partner Matt Kuchar, who was standing next to Johnson, advised him that he could re-tee it without a penalty, which Johnson proceeded to do. What the heck happened here? It turns out Kuchar was right, but some explanation is in order. According to Rule 18-2 (:Practice Swing Accidentally Moves Ball in Play”), if a player accidentally moves their ball in play while making a practice swing, the player must replace the ball and incur a one-stroke penalty. If they fail to replace it, they incur a two-stroke penalty. Johnson did accidentally move his ball, so why no penalty? Zach Johnson on the 13th tee Friday at the 2019 Masters. It all comes down to the definition of “in play.” Had Johnson done the same thing while in the middle of the fairway, he would have been charged with a penalty stroke via Rule 18-2. But when a ball is on the teeing ground and the player is waiting to hit, the ball is not considered to be “in play.” Therefore, there’s no need for a penalty. So Johnson avoided causing another rules controversy at a major championship, and he didn’t even need the new rules to do it. And it’s a good thing he avoided a penalty, because he went on to make birdie at 13 to move to one under for his second round. Ian Poulter was also playing in Johnson’s group and told the media after his round that the moment provided an opportunity to needle Johnson a bit.